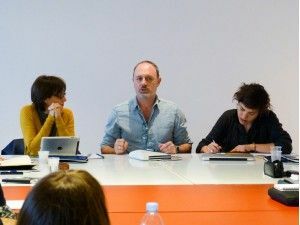 - NARRATIVES FROM ART, intensive writing workshop with A*Desk, led by David G. Torres with Montse Badia and Marina Vives, directors and editors in chief of A*DESK. Number of participants in the workshop are limited, registration required. A certificate of assistence is issued by the University of Vic. Tanit Plana often undertakes projects based upon photography, which she expands upon to include relationships with other fields such as education – by means of the many workshops which she has conducted with various groups -- or by collective performance involving workshop participants, or also with the mechanisms of image construction as symbolic standards of these processes. In this way, the project expands towards collective creation, turning participants into co-producers, invited to collect images, to contribute stories, to build or to dramatise narratives. Ultimately, she uses photography as a tool to enhance exchanges between the people involved in the space which each project has generated. Tanit Plana has a degree in Audiovisual Communication, and is currently pursuing a Master's degrees in Contemporary Film and Audiovisual Studies at the Universitat Pompeu Fabra (Barcelona). 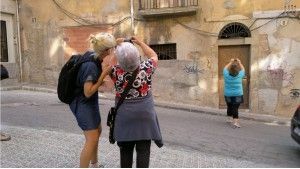 She teaches photography at the University Pompeu Fabra and IDEP (Barcelona). 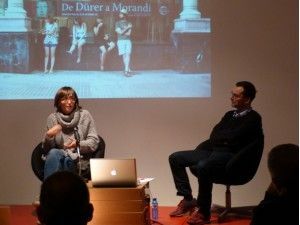 She is the director and teacher of various educational projects related to photography and film with La Caixa Foundation and Arts Center Santa Monica, among others. She has received several awards and grants for her artistic research projects. For Diego Ferrari, urban space becomes the place where a series of typical social values take shape, with regard to democracy, identity and citizenship. The Urban Habitat project investigates the relationship between the individual with a private habitat, and theconstructed social environment. Two realms, from which we construct our personal sense of place. Private and social are not separate, of course, but the ambiguous space created between personal subjectivity and social objectivity is a fertile vehicle for devising a critical psychology, equally physical and metaphysical, with regard to space. Experience within a space always transcends geometry and measurement. Ferrari's photographic projects are constructed around participation, their staged presence in public space, and meticulous improvised activity generated within locations. Diego Ferrari is a visual artist and photographer whose work questions the relationship between social values ​​and public spaces, with a particular interest in the relationship between the body and its environment, articulating forms of individual and collective experiences and social relationships. He exhibits his work internationally and is co-organiser of the Symposium on Urban Encounters in the Tate Britain . He teaches the course " Photography , Art and Architecture " at Central Saint Martins in the Degree of Fine Arts in Photography from the University of Kingston. Curro Claret has developed a series of works in collaboration with Arrels Fundació, works which were realised in different workshops with people who had once lived on the street. The work began in 2010, first with stools, lamps and other items of furniture (including the furnishings of a shop from the Camper chain of stores), then with pallets used in setting up ​​the Zona Intermedia.Disseny, art i societat exhibition at the Espai Cultura de Sabadell, and more recently a set of beanbags in the form of bin bags filled with various refuse materials. 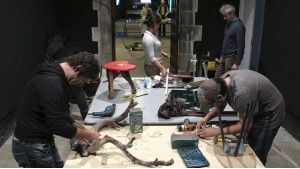 All this work has been set up from the start as an experiment in the design and construction of furniture using materials gathered from the street, and in how this work may turn into a means of support and assistance in personal and professional development. Curro Claret was trained as an industrial designer in the field of objects, and has progressively focused his activity on projects and processes which attempt to reflect upon and rethink the relationships of individuals to society and the environment. From this starting point, he develops his projects equally within the fields of business and the market, as well as within the contexts of the museum and the exhibition. Fundació Arrels is an organisation started in 1987, with the main objective of collaborating in the comprehensive development of people at risk of social exclusion, particularly the homeless in a critical situation. To the question " What is art? " raised in one of his projects, Selvaggi received 279 responses from mental health centres, primary and secondary schools. 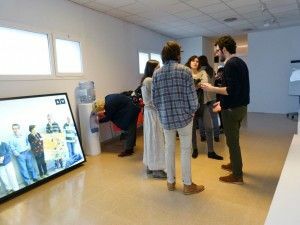 As part of the opening day of Art and Health at Palafolls, Selvaggi considered a project which would open a space for interaction between the worlds of art and therapy. Some answers are fairly obvious, others elaborate, some simple and naïve and there are also some which are absolutely astonishing. The project was presented as an action; every seat had a sheet left on it, with an answer to the question, so that everyone was provided with an answer to take home with them. During the session, the presenter explained the action while reading some of those definitions. Antonio Selvaggi was born in Cassano Jonio (Italy), has lived and worked in Palafolls since 1980. 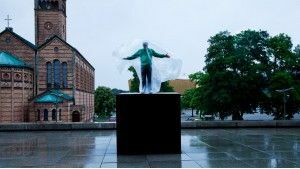 He has exhibited many times, individually and as part of a collective, in various European cities. In 1992 he created the group Public Projects, a collective of social action, social art or artivism, within which he has realised installations and artistic actions with a strong social critique. From 2005 until 2012 he created Topografies Hibrides, a community art project within the grassroots organisations of Palafolls . His latest actions involved groups such as sufferers of mental illness ( Art és...Art is ... ) or pensioners (Entre deixalles...among waste). Agitator, activist, connector, he assumes a stance of artistic activism, and expresses through his work a clear desire to establish a direct communication with the public, stimulating reflection and critical thinking. 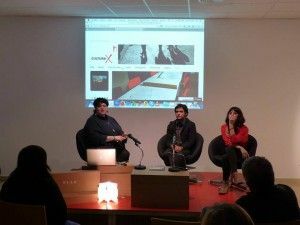 CULTURE Xn is a multidisciplinary research and action collective which works to build models by which to occupy unused spaces, from an analysis of specific situations, collaborative proposals and immersion within a social context. CULTURE Xn works outside the established circuit, and with the idea that art and architecture may find a place anywhere in everyday life. CULTURE Xn generates discussions, connections and processes to influence aspects of social transformation. The collective develops a specific work within urban culture, which involves taking an interdisciplinary and multidisciplinary approach to analyse, to explore and to show a critical commitment to urban issues, taking advantage of the background and experience of each individual member involved. 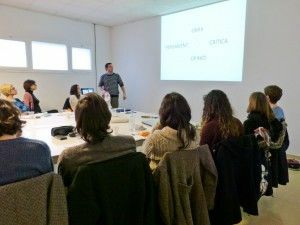 Currently the group has two open processes: one in the District of Torresoto Jerez, Spain, collaborating with Inma Parra and the Asociación Creando Futuro; and in Sabadell, Barcelona, the group is collaborating with the Exchange Network Sabadell XIS. Ana Paula Montes Architect (2003) from the University of Costa Rica (UCR) and Master in Urban Planning (2010) from the Polytechnic University of Catalonia, Spain (UPC). She has participated in Occasional Cities, Post-It City (2008). 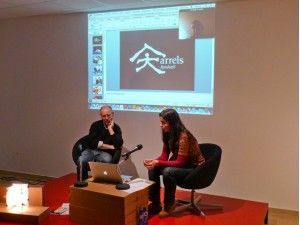 She is the author and editor of the publication Activations for the Appropriation of Urban Public Space (2012). She currently works as a researcher and teacher at the School of Architecture of the UCR, and the Master of Urban Design UCR is a member of the Editorial Board of the Journal Arquis-UCR. She teaches undergraduate courses at the School of Art and Visual Communication at the National University. Enrique Venegas Flores has a degree in architecture (Pontifical Catholic University of Chile) and the Instituto Tecnológico Superior de Monterrey (TEC). Master in Architecture (Theory Department of Architecture). He has worked as an architect at the offices of Federico Soriano & Associates Architects, and the Sante Architecture and Design. As a member of the art group Trabajos de Utilidad Pública (TUP), he participated in Occasional Cities, Post-It City and other formats of temporality (2008) and Idensitat (2009), as well as several public exhibitions, seminars and panel discussions related to the theme of City, Art, Architecture and public spaces at various universities. 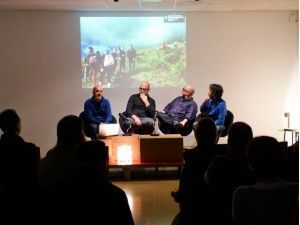 TTaking as its reference the fact of walking as an aesthetic practice , Margins and Borders was achieved through two simultaneous trips between Figueres and Perpignan. 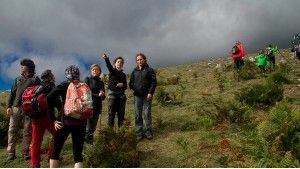 The walkers would meet each other at the ridge Puig Neulós as a nexus between Languedoc-Roussillon and Alt Emporda. The event was intended to dismiss the border as a dividing line, to consider it as a wider space , capable of generating opportunities for the people and the land. The Margins and Borders project began in the cities of Perpignan and Figueres, constituting a proposed meeting between people in a natural space, expanding towards the idea of intervention in urban public space, to explore interlude spaces, recreating situations and rituals such as the burial of 48 raw clay bowls made ​​by children in the two cities . This secular object, symbol of the mixture between the plate and the cup, acts as a minimum representation of domestic space, a place of wishes in the context of cross-border exodus, the house, the nest which fuses with the road, a way of paying tribute to all the people who walked and who still walk across borders to achieve the fundamental rights of life. 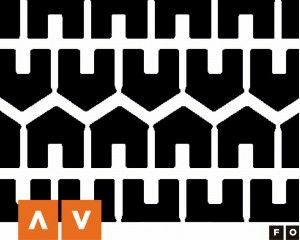 Margins and borders has been produced in collaboration with Igràvid, ACVic and Control [Z] Visual. Jordi Lafon is a visual artist, and his work is part of a context of variable landscape, understood as the setting for stories and possible actions. He often organises his pieces in the form of an archive or a collection where qualities such as order, disorder, cadence, chance and chaos emerge. His recent works revolve around participation, collaboration and shared learning experiences such as walking, drawing, photography and writing projects such as Margins and Borders, Drift Owl , Encounter , How a Chair, and Criss -Crossing. We understand territory as a " geography of events ." 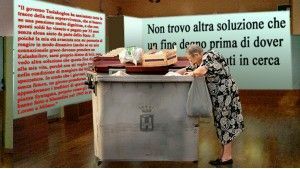 We depart from direct and personal experience of a place to rescue it from the simple reading of a two-dimensional map. We propose walking the map , understanding this simple fact as an action through which to generate experiences, and as a useful tool for understanding the region and its contemporary transformations. We wish to establish a dialogue with the real city, an open system of relationships within a close network, listening to and interacting with the contemporary city, its margins and its areas of conflict which give us tools for action. Domènec, Pere Grimau i Pau Faus were involved , along with others , as members of the ONB Observatori Nomada Barcelona, in the organisation of the proposal by the collective Stalker Rieres i Rambles, 5 walks in the Barcelona metropolitan area in 2007. Latterly, Domènec, Pere Grimau i Pau Faus coordinated several projects along the same lines : ON Prat (El Prat de Llobregat. 2009), Canòdrom/Canòdrom (Barcelona, 2010) i Protesis para un caminante (Huelva el 2011). Pere Grimau. Photographer, Lecturer at the Departament de Disseny i Imatge de la Universitat de Barcelona, ​​associate lecturer at the Universitat Ramon Llull. Member of Research Groups GRACMON and OIT grup from Universitat de Barcelona. Pau Faus. Architect and visual artist . Recent projects : TU-Recife (Spa das Artes, Recife), We Can Xalant (Can Xalant, Mataró), BadiaFonia (Badia del Vallès) . He is author of the books ‘La Ciudad Jubilada’, ‘Figueres-Paris: 5 hores 30 minuts’ and is co-author of ‘Co-Habitaciones. Patrimonio, taxidermia y autoconstrucción en Valparaíso’. Criticism as crippled writing and curating as a vicarious practice Critics and curators always seem to form an alliance as part of the same curriculum. "Curator and art critic" has become a common description, as if they described the same profession or the same practice. But in fact, beyond the received expressions, critical writing and curatorship are parallel activities which activate similar instruments, either because they need each other, or because both are equally deficient. Both criticism and curational practices arise from vicarious experience, in each case, either through writing or through the exhibition, they speak for others. Others always do the talking. The critic and the curator develop standards by which they organise aliens narrative (those of artists and other cultural producers). In the end, they perform an exercise in selection, cut-and-paste as a practice of contemporary thought. In fact, curatorship is a practice deriving from art criticism, to the extent that art criticism is a response in terms of literary practices to the impossibility of doing, a response to the illness running through part of contemporary thought which gets in the way, or which finds no solace in fiction. A practice which picks over and chooses to remake, and finds in it the possibility of writing and narrative, becoming not only vicarious (speaks through others) but also crippled (due to a deficiency and a crisis, of representation and of the narrative), and a practice, which is critical for these same reasons, as it has been applied to itself as critical writing, which arises from a crisis, and because it involves selection and decisions. But in the end, in spite of all, it is a narrative. 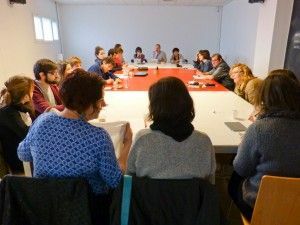 The workshop seeks to explore the intersection between critics and curatorship, to the extent that both involve the implementation of different narratives, stories, which speak through others. Thus, during four sessions of the workshop, ideas will be proposed by which to develop criticism as crippled writing and curating as a vicarious practice. Participants will propose various narratives, carried out through the practice of writing, and will finally put them up for discussion. 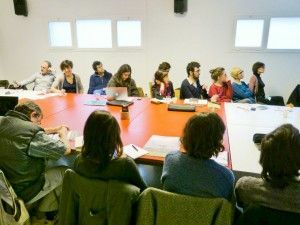 A* DESK, Independent Institute of Contemporary Art and Criticism, is the initiative of a group of professionals from Barcelona's contemporary art scene. The mission of A*DESK is to reappraise actively the value of critical thinking, and to generate debate about contemporary art and culture . It Is an online magazine of contemporary art and criticism, published since 2006. 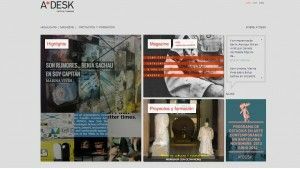 It is currently a daily publication with more than fifty collaborators worldwide, about two thousand published articles, and has also developed several programmes of training, and of research on contemporary culture. David G Torres, co-director and co-founder of A*DESK. Collaborator in art criticism for "El Cultural", has also worked as an art critic in "Art Press" and "Lápiz", and has published articles in "Papers d' Art", "Lateral ", "Transversal ", "Untitled", "Circa" as well as several catalogues and monographs. El cost of the worshop is 30,00 euros. It includes the assistence certificate issued by the UVic. For friends of ACVic, teachers or students of the Escola d'Art i Superior de Disseny de Vic, the partners of H.AAC (H. Associació per a les Arts Contemporànies), ex-students of QUAM, the cost is 25,00 €. The presentations and the worshop are financed by the OSIC. Artists, art critics and curators of exhibitions, teachers, cultural gestor and creators interested in art, comunication and script. For students interested in this disciplines. Opening hours: From Thuesday to Fridany from 9 to 13 h and from 16 to 20 h.
Saturdays from 11 to 14 h and from 17 to 20 h. 14 h y de 17 a 20 h.
QUAM is an initiative which, since its beginning in 1988, has linked art and education. 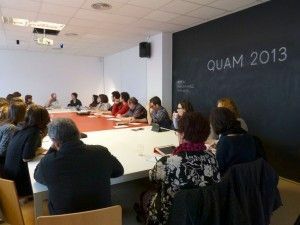 Over the years and following various approaches, workshops and conferences of Quam have been an opportunity for the further training of new artists, critics or mediators related to contemporary art practices. H. Association for Contemporary Arts , who has assumed the organisation and management since 1992, has always tried to respond to the needs of the moment. This justifies changes of direction along various stages which, above all, have attempted to trace out possible futures. Currently, since 2010 , this activity has become part of ACVic Contemporary Arts Centre , a project which is positioned along a line of action focused on the relationship between educational activities, territory and social interaction. Artistic practice in combination with educational activities create production spaces to affect, to interact with, and to transform social space . QUAM 2013 is an activity by ACVic Centre d'Arts Contemporànies in collaboration with UVic Universitat de Vic and Escola d'Art i Superior de Disseny de Vic.